The news about Ebola is one that has been of great concern to everyone. I totally understand the importance of taking precautions, but when I see foolery like the one Rapper Cam’ron is exhibiting, I can’t help but shake me head. 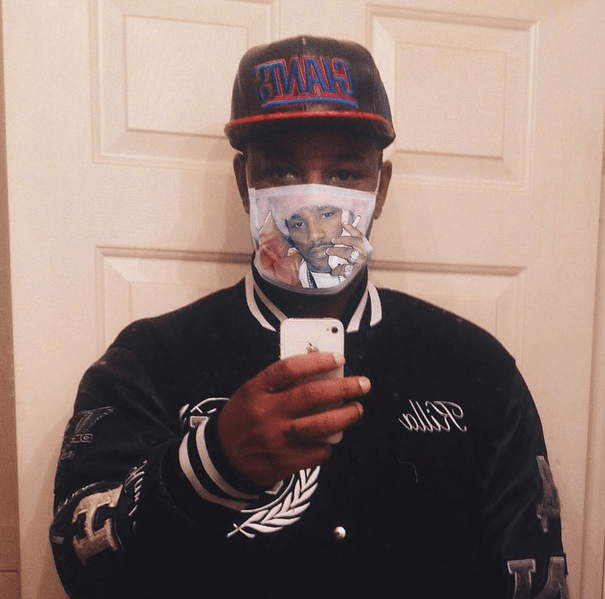 First off, the mask he is touting as Ebola, looks like the regular mask you see at the doctors office. I am not trying to knock anyone’s hustle but it seems more like a twisted joke to me. Cam’ron may be cute but dang, if my health was at risk, the last thing on my mind would be wearing his face around most especially if the item he is touting will not protect me. Like errrr thanks but no thanks. In case yall don’t know how Ebola is spread, I will gladly share some information below. Before I do, I wanted to make one little point, as far as I know Ebola is not an airborne disease so his mask is somewhat useless if he touches someone with Ebola. Like duh.!. I think it would be a bit ignorant to see people going around town wearing masks because of Ebola. Then what happens to the rest of your body that is exposed? The best way to go about this is to get informed. Let the proper authorities, people who know what they are talking about school you on the dos and don’t.. Good luck to Cam’rom and his 19.99 cough and cold mask though. lol. – Ebola virus disease (EVD), formerly known as Ebola haemorrhagic fever, is a severe, often fatal illness in humans. – Ebola then spreads through human-to-human transmission via direct contact (through broken skin or mucous membranes) with the blood, secretions, organs or other bodily fluids of infected people, and with surfaces and materials (e.g. bedding, clothing) contaminated with these fluids. – The Ebola virus causes an acute, serious illness which is often fatal if untreated. Ebola virus disease (EVD) first appeared in 1976 in 2 simultaneous outbreaks, one in Nzara, Sudan, and the other in Yambuku, Democratic Republic of Congo. The latter occurred in a village near the Ebola River, from which the disease takes its name.